It was a great idea at the time. Perhaps you gave that tattoo some thought or had it done on a whim. That moment of compulsion has ultimately led to this period of regret. Fortunately, tattoo removal is not the questionable ethical practice it once was. It is much less painful and more affordable, so you can get that tattoo removed for any reason. 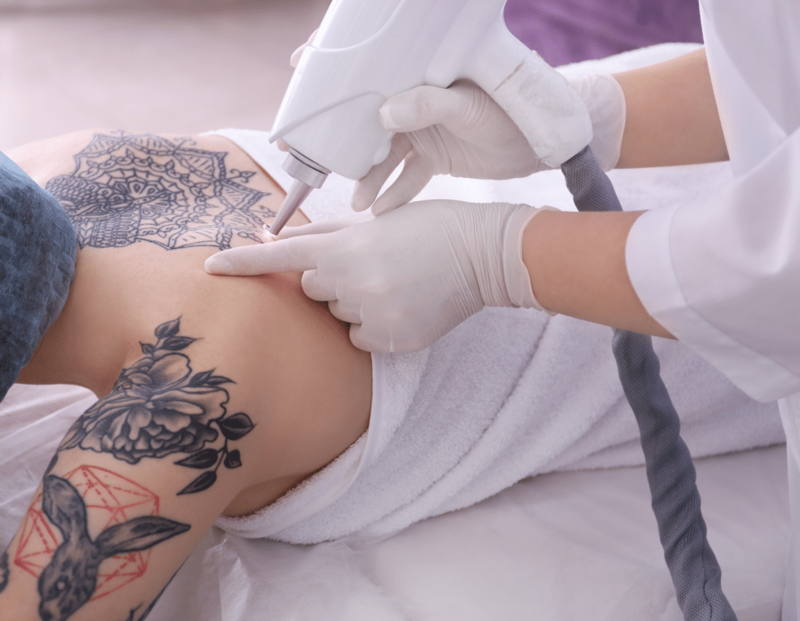 Here are some of the top reasons people remove a tattoo—if your situation applies to any of these, you may not be alone. A certain symbol or saying may have meant something back in the day. Age and maturity may have turned it into just a permanent relic. It may send a message that you no longer live by. If you were tattooed as a teenager, it makes sense you’ve grown out of the concept it represents. After all, your brain’s reasoning and decision-making abilities were not yet fully developed. Many a tattooed soul received their markings under the influence of love. That spark may have long faded, but your ex’s name or face is still there, which can be a minor annoyance or a turn-off to a potential partner. It’s okay if you’ve long gotten over someone; there are solutions to removing that reminder and starting over. Pressure from your significant other may have led you to the decision, or a meaningful gesture may be in order to mend fences or take things to the next level. If you have children, you may be concerned about the message your ink sends. Your own self-consciousness is good-enough a reason, so tattoo removal by a dermatologist can have many benefits. Tattoos eventually lose their vibrancy, even with proper skin care. If yours is faded, it may be time to just get rid of it. The image might also represent a passing fad that is no longer relevant. A hint on getting a tattoo: avoid themes such as a brand-new hobby or temporary passion. Other not-so-far-fetched examples include spelling mistakes or tattoos done under the influence. A heavily tattooed arm may seem appealing at one stage in life. But if you’ve changed professions or are entering a new career stage, it may make you feel self-conscious. Are you coming off as a professional? Does your ink irk you every time there’s a job interview? If your job demands a lot of your personal appearance, tattoo removal is a good idea. Technology has made removing tattoos a much easier process. The Laser and Dermatology Institute of California (LDI) can work with many tattoo colors, on various skin types, and reach pigments deeper into the skin than traditional treatments. To schedule an appointment at one of our three locations—LDI of Los Angeles, LDI of Covina, or LDI of Newport Beach—send us a message online or call 866-809-1102.